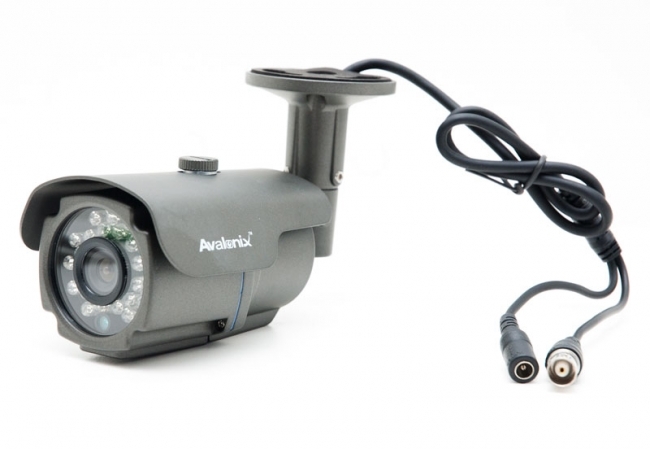 This 16 Camera CCTV System is just the system for you. It includes a 16 channel DVR with a 1TB hard drive and 16 infrared bullet cameras that can see up to 66 feet in complete darkness, to keep an eye on your property around the clock in all types of weather. The system is easy to install and use, and is packed with a variety of convenient security features. The security cameras in this system that feature a 1/3" Sony Image Sensor, 800TV lines of resolution and a 66ft IR range to capture a crisp image in complete darkness. These cameras are weatherproof and can withstand rain, snow. The 16 channel DVR features a 1TB hard drive for up to 2 weeks of 24/7 continuous video recording in D1 resolution. The DVR features motion detection recording and event notification by email. 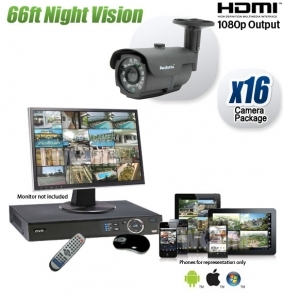 The 16 Channel DVR also allows you to view your system remotely via the internet or your iPhone, iPad or Android device, and offers convenient off-loading of recorded video via your network or on to a DVD or USB drive. Our indoor/outdoor cameras have a weather rating of IP66. These cameras are unaffected by a range of weather conditions including rain, snow, sand, and temperature variances. When we say our cameras are IP66, we mean it. You can put them outside without any cover on a pole in the middle of nowhere, and they will withstand the brutality of mother nature, short of a hurricane or tornado. H.264 compression is a form of video compression that allows the DVR to capture video from the camera and store it on the hard drive inside. The H.264 codec greatly reduces the size of your digital video files without compromising video quality. Thanks to this video compression you can record great quality video without taking too much hard drive space. Multiplex operation enables simultaneous user operations on the DVR. You can view live video, playback recorded video on the DVR or remotely, back up video to a flash drive, without ever affecting the recording process on the DVR. Thanks to the strong processor in the DVR included with this system, you can have up to 10 users login simultaneously in to the DVR and view/playback video without every stopping the recording process. Based on your security needs, you can choose from multiple recording settings on the DVR. You can record continuously for 24 hours 7 days a week. You can select to record on a set schedule for specific days and times or upon motion detection where the system will record when it detects movement in view of any of the cameras. The motion detection feature of the system allows for motion masking where you can select areas in view of each of our cameras where you want to detect motion. The motion detected within those areas can trigger recording of that one camera or any other camera in your system. This motion detection feature allows you save hard drive recording space so you can record longer than the stated time above, and only record instances where something is actually happening in view, thus saving you a lot of time when you go back to view recorded video. For areas with high traffic or of high importance such as casinos, schools or retail stores, in which constant monitoring is required, the DVR will continually record 24 hours per day, 7 days per week. With the DVRs auto-overwrite feature, there will never be a lapse in recording when the hard drive space is full. The video recording will automatically overwrite the oldest video first. You can set your DVR to record on a specific schedule based on your needs. For instance, if you only want the cameras behind the cash register to record during business hours while the exterior cameras can be scheduled to record when the business is closed. The schedule can be general or camera specific. If you can hook up you BluRay player to your television, then you can install your own security camera system. To simplify the process, we have several YouTube videos that will teach you by example how to connect all the wires together and operate the friendly point and click interface of the DVR. The DVR recorder is easy to operate thanks to the intuitive user interface and the included mouse, and hand-held remote control. Video and images can be easily backed up using the DVRs intuitive timeline by selecting a time frame to export to a USB flash drive. You can also remotely backup video to your computer over the internet using the included free software. For ease of use, all of our systems come with plug and play cables that carry both video and power from the DVR to the camera. There is no need to have a separate electrical socket located at each camera. 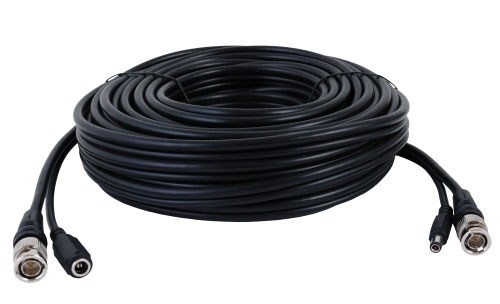 We also have bulk cable available so that you can cut specific cable lengths to your needs. You can purchase Siamese cable with connectors from the drop down menu above.